What will it cost? How do we get started? 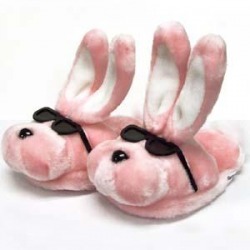 Do I really work in bunny slippers? Read on. Almost every project is customized exclusively for you. Fee estimates are provided after we discuss the scope of your assignment. I take several factors into consideration, including the purpose of the piece(s), how much content is needed, and how much research and legwork are involved. I generally give you a project fee; however, certain tasks—like editing or proofreading—are invoiced at an hourly rate. Have a project in mind? Click here for an estimate. If you decide to move forward, I’ll send a contract for your signature, along with my terms and conditions. Once you return the signed contract and a deposit (50 percent of the estimate), we’ll hit the ground running. A first draft is generally ready within five to 10 working days, depending on the size of the project. Have an emergency? I can accommodate rush jobs on a case-by-case basis; these will incur a rush charge of 25 to 50 percent. WHAT IF I KNOW DIDDLY-SQUAT ABOUT YOUR INDUSTRY? No biggie. I may not be an expert in your particular field when we begin a project. But by the time I’ve done my due diligence (interviewed you and your colleagues, checked out your competitors, researched online, etc. ), I’ll have a darn good grasp on what it is you do. Bottom line is, once you hire me, I become an expert. DO I EVER WORK ON LOCATION? One of the joys of working out of a home office is that I get to wear yoga pants and Hello Kitty slippers. However, I do have some fashionable duds stashed in my closet. So if you need a writer or marketing consultant to work at your place of business, I will ditch the AC/DC sweatshirt, dig out the nice threads, and come to your office looking spiffy. Some people hire me to help them through a crunch time. Others ask me to fill in for a writer who’s on medical or maternity leave. Still others just need a fresh perspective on their programs and materials. I can usually accommodate on-site freelance gigs, so feel free to contact me if that’s something you’re interested in. Special day rates apply. Ready to get rolling? Have more questions? I’d love to touch base. Give me a buzz at 848.333.6100, or click here to send me a message now.